What are the perks of hiring a professional to handle wedding planning? Oh… so many! My favorite, though, is all about the people. I’ve had many couples who were lost in a sea of websites in trying to book vendors without any direction or guidance as to what they should be looking for in terms of cost, style, anything. With a planner, that stress and confusion are gone. I only introduce my couples to vendors who are exceptional at what they do, are within that couple’s budget, and who I know are professional, reliable, and most of all kind. The wedding team is everything, the rest is just details. At what point in the wedding planning process should a couple make the decision to work with a planner? I’ll answer that in the words of many past clients: “In hindsight, we wish we’d brought you into the process sooner.” For the ease of everyone involved, the earlier you hire a planner, the better. There are so many things that come up along the way that we can easily handle to save time, money, and mostly stress. Plus it’s a huge advantage to your wedding vendors to have a point person throughout, and a confidence that your wedding will be well organized from the beginning. What skills or services do you offer to your clients to help them feel less stressed while planning one of the biggest days of their lives? It’s more of an attribute, but the one thing I hear from both clients and vendors is that I have a very calm and confident demeanor, which lends an air of ease and lightness to planning and also the wedding day itself. My life motto is, everything is fixable. I truly believe it. So when things come up during planning or day of that others may freak over, I just smile and fix it and move on. Feel free to check out our reviews! Tell us what a typical meeting might look like between you and a couple you’re working with. It always starts with hugs and a bit of life stuff, because I love my couples, I’m so blessed! I want to get to know how they met, how the proposal went down and all of the fun stuff ;)! Then we dig in. I like to call it a pow-wow, because it’s a top to bottom information exchange. If it’s a timeline meeting, for instance, we go hour by hour, I have my notes and questions prepared and my clients have theirs and we just go. But to me the follow-up is as important. I never want to be know for ever dropping the ball, not living up to my end of the bargain, or not following through with a change made in a meeting. My brides mean the world to me and I know they will not get this day or experience back. I will always stand behind my brides. What’s the biggest piece of advice you can offer to couples just getting started in the planning process? Breathe, and know that in the end it’s all going to be ok. Couples can get stressed very quickly in this process, which takes the joy and fun out of planning. But it doesn’t have to be that way at all! 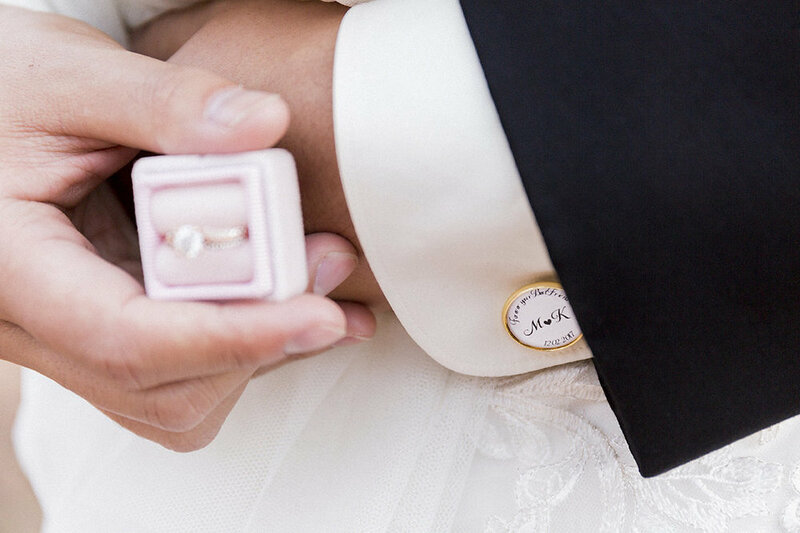 My top three tips are: 1) Commit to keeping love at the heart of it all, 2) Remember that the wedding is only a celebration of the Marriage, and… 3) Trust your planner!